The human brain, as exemplified by cognitive radar, cognitive radio, and cognitive computing, inspires the field of Cognitive Dynamic Systems. In particular, cognitive radio is growing at an exponential rate. Fundamentals of Cognitive Radio details different aspects of the human brain and provides examples of how it can be mimicked by cognitive dynamic systems. The text offers a communication-theoretic background, including information on resource allocation in wireless networks and the concept of robustness. 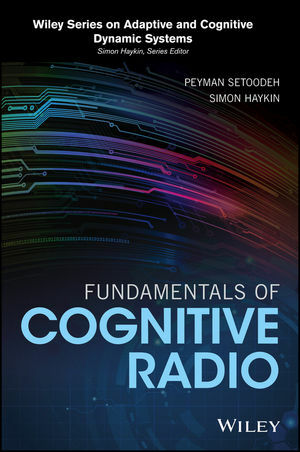 Written for students of cognition, communication engineers, telecommunications professionals, and others, Fundamentals of Cognitive Radio offers a new generation of ideas and provides a fresh way of thinking about cognitive techniques in order to improve radio networks. PEYMAN SETOODEH is a Professor at the School of Electrical and Computer Engineering at Shiraz University, Shiraz, Iran. SIMON HAYKIN is a Distinguished University Professor at McMaster University, Hamilton, Ontario, Canada.